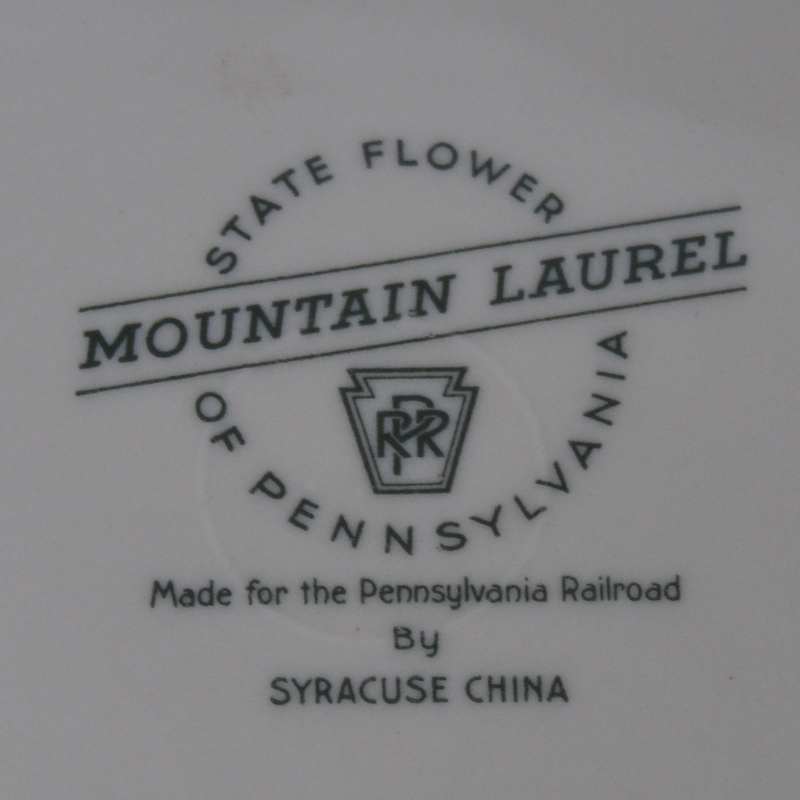 Description The Pennsylvania Railroad Company (PRR) undated Mountain (Mt.) 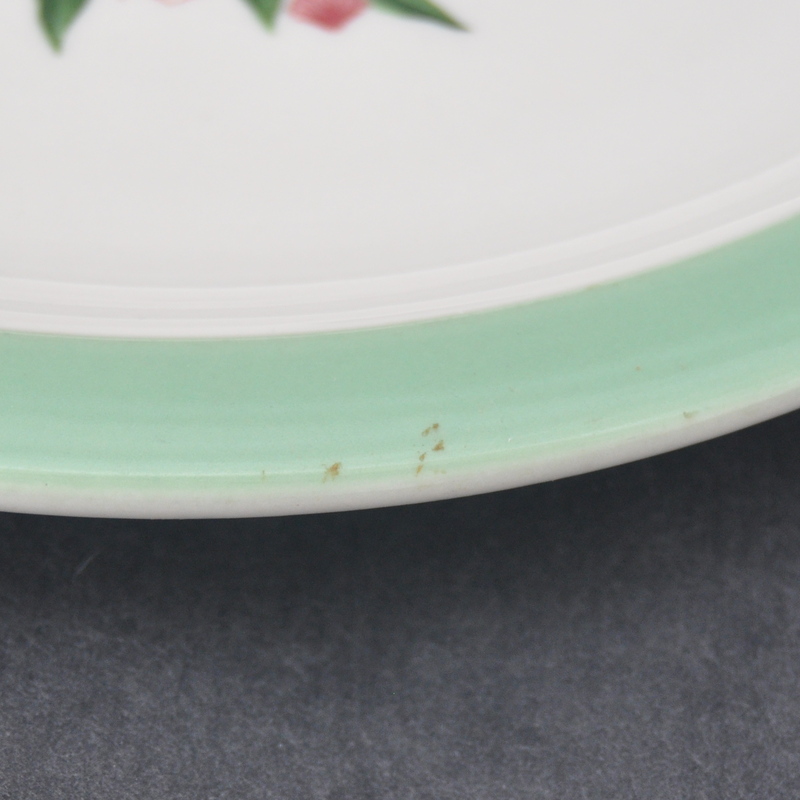 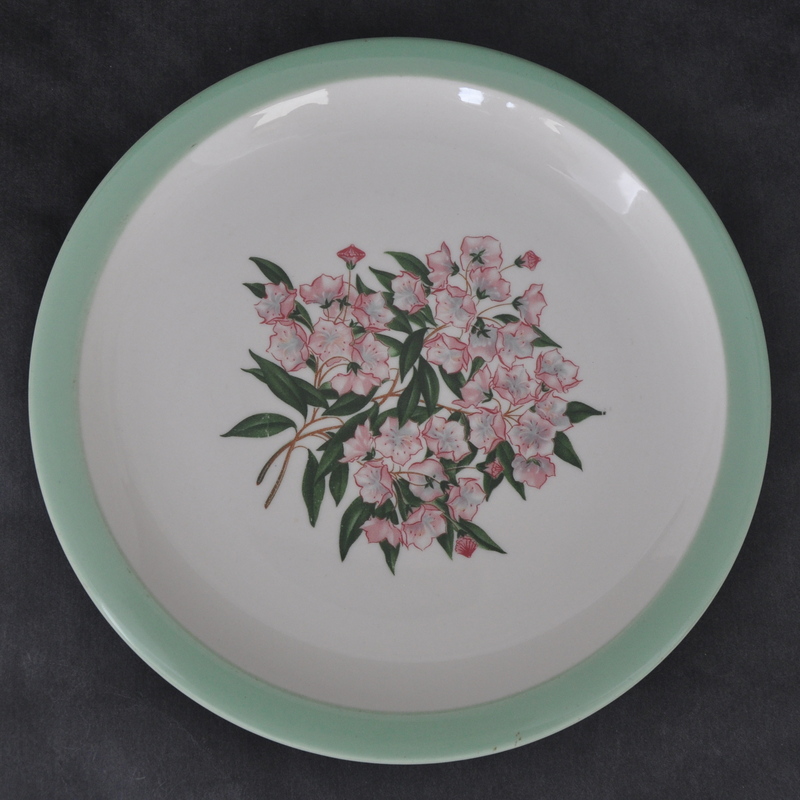 Laurel pattern 9.5" Dinner Plate made by Syracuse on the Morwel Body Shape with the full backstamp. The back-stamp reads: "Mountain Laurel, State Flower of Pennsylvania. 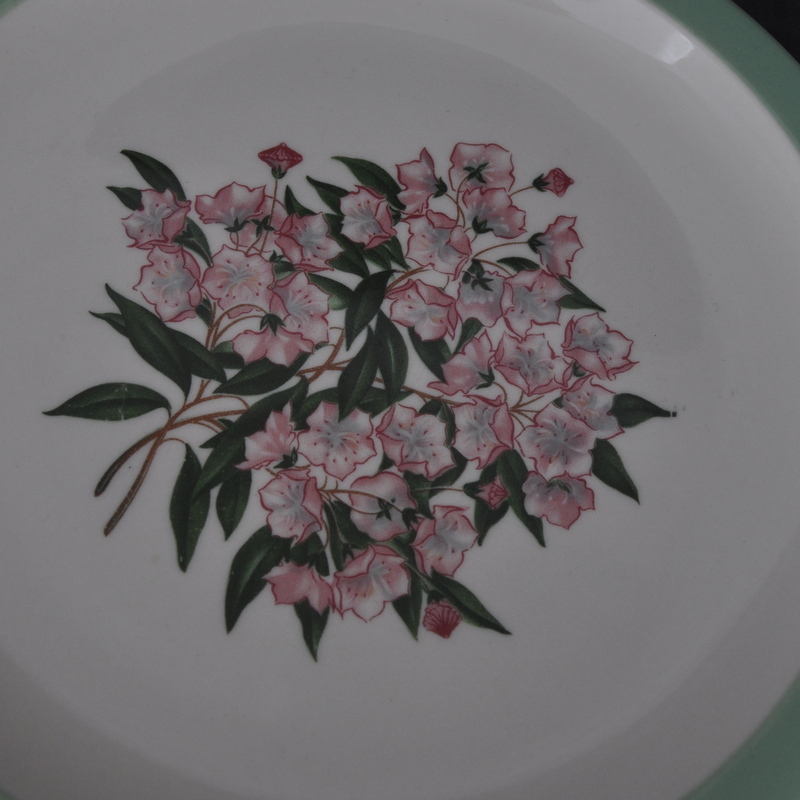 Made for the Pennsylvania Railroad by Syracuse China." 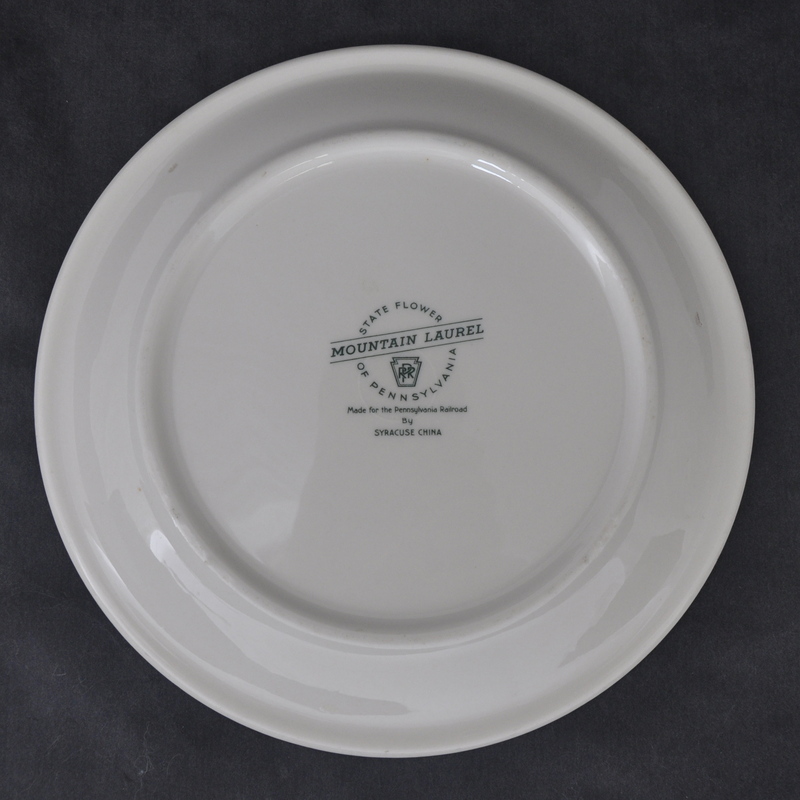 A Pennsy keystone logo is surround by text in a circle.